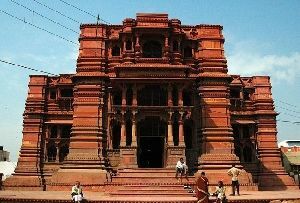 Ayodhya, well known for its legendary association with Lord Rama is one of the most holy cities in the state of Uttar Pradesh. 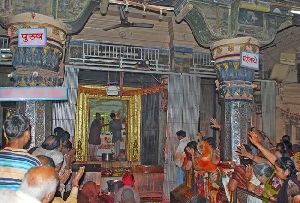 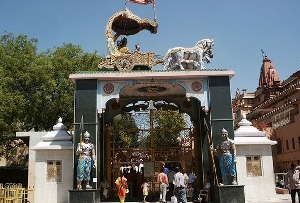 Of all the Holy Places in Ayodhya, Hanuman Garhi is one that has made a place for itself not only in the minds of devotes but also amongst the major Tourist Attractions in Ayodhya. 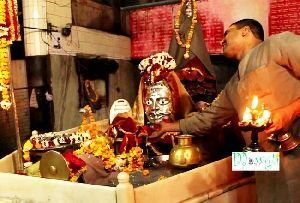 Common tourists frequent Hanuman Garhi in large numbers. 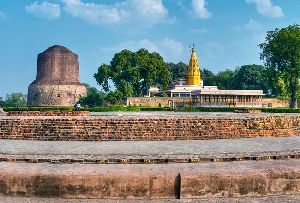 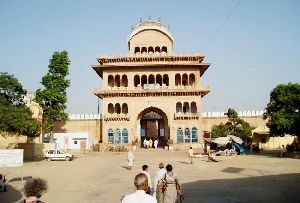 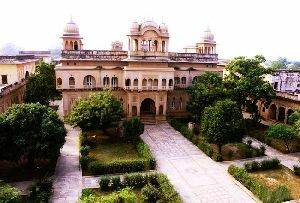 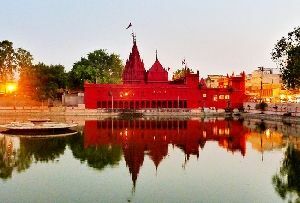 It enjoys an advantageous location right in the heart of the city of Ayodhya and is a must visit if you are considering Tours to Ayodhya. 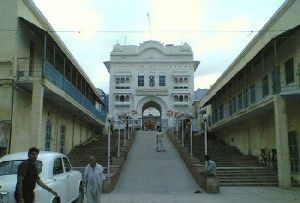 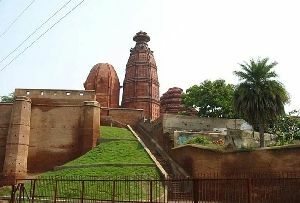 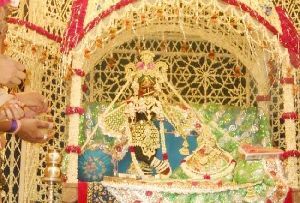 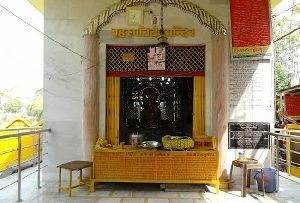 According to popular legend, the place where the Hanuman Garhi now stands was inhabited by Hanuman. 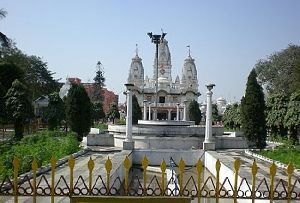 He used to live here to protect Janmabhoomi or Ramkot. 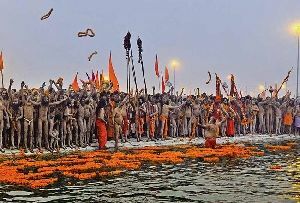 This is so much for its mythological association. 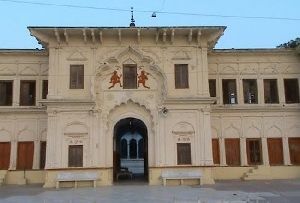 If we try and trace its history to more recent times we will know that the land for Hanuman Garhi was actually donated by the Nawab of Avadh. 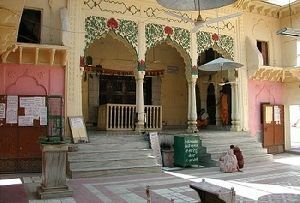 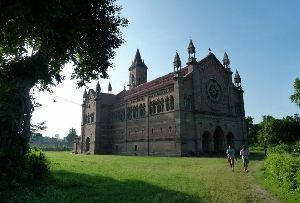 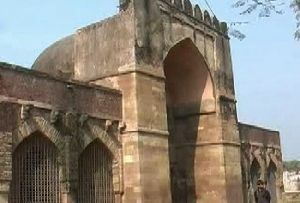 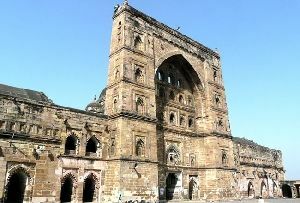 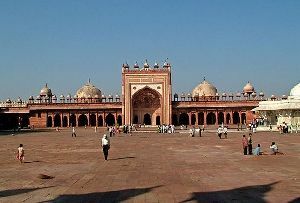 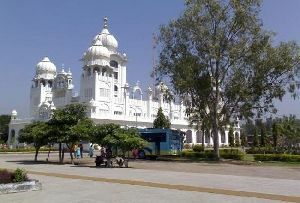 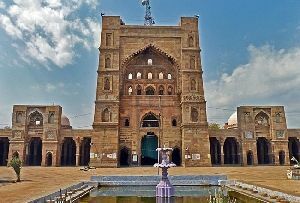 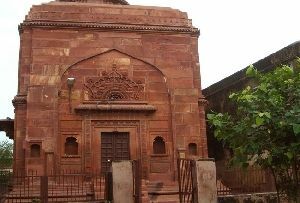 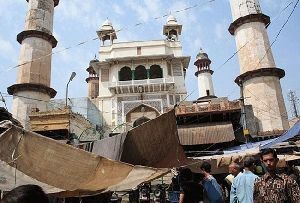 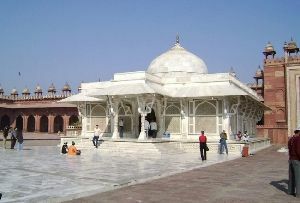 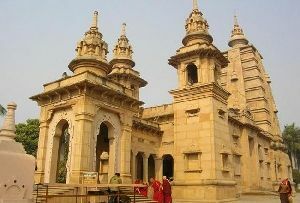 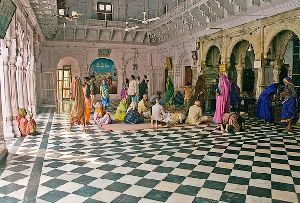 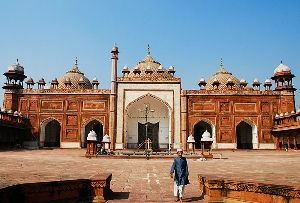 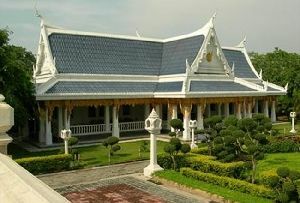 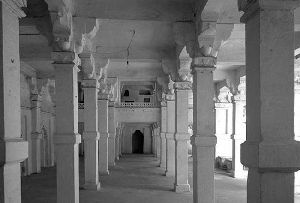 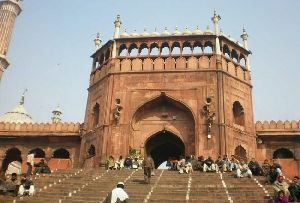 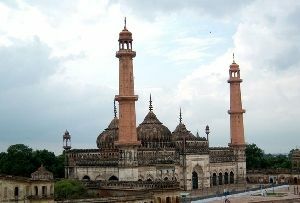 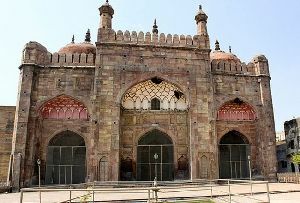 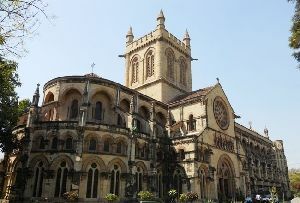 Later a temple was constructed by a Hindu courtier of the Nawab around the middle of the 10th century. 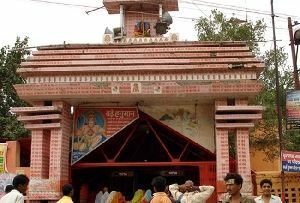 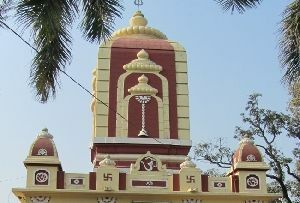 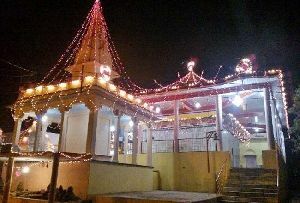 Hanuman Garhi is one of the most popular religious shrines in Ayodhya, India. 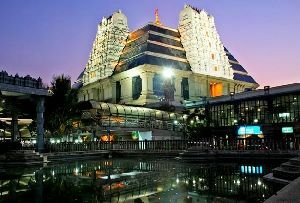 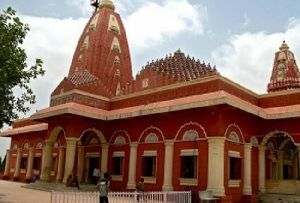 Approachable by a flight of 76 steps, devout Hindus believe that all your wishes are sure to be fulfilled on a visit to this shrine. 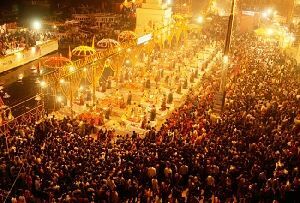 No wonder it is almost always thronged by those with a religious bent of mind. 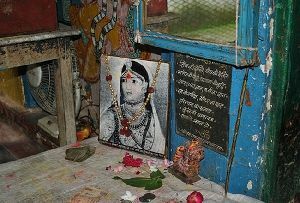 A statue of Mata Anjani with infant Hanuman in her lap is enshrined in the inner sanctum of this cave temple. 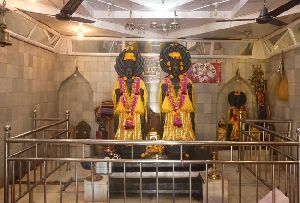 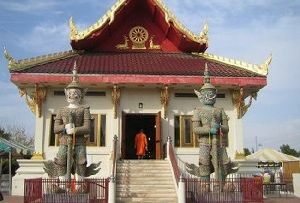 It is believed that Hanuman resided here at one point of time to safeguard the place. 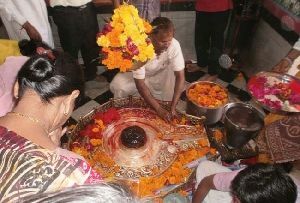 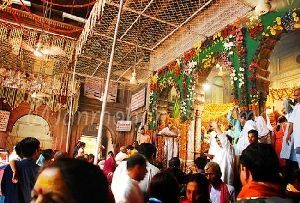 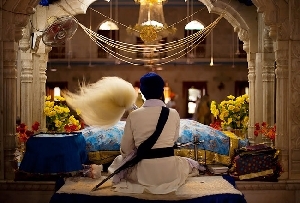 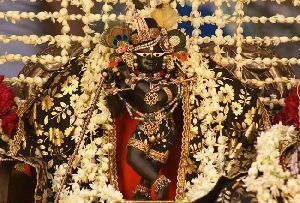 And as of now it is the idol which is worshipped with a great deal of reverence. 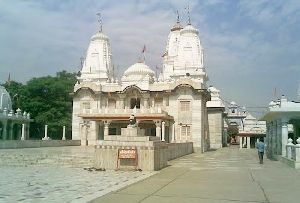 Apart from its religious significance Hanuman Garhi is also well worth a visit because it is a quite an impressive structure manifesting admirable architectural skills. 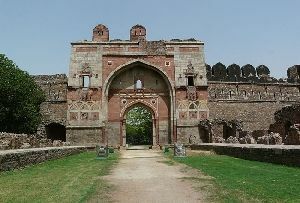 Akin to an imposing four sided fort, it boasts of circular bastions at each of its corner. 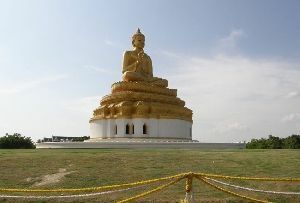 One cannot but stand and stare at it with approval. 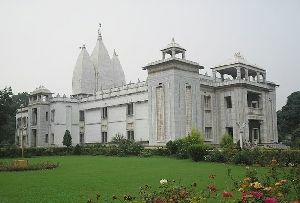 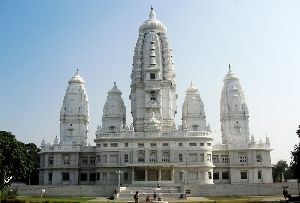 Open from sunrise to sunset, it can be easily reached from any part of the city of Ayodhya. 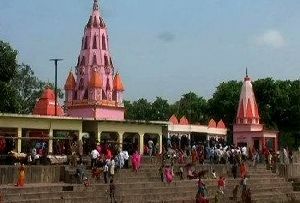 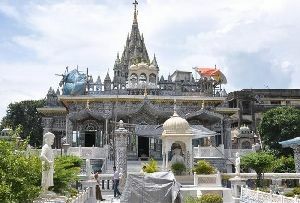 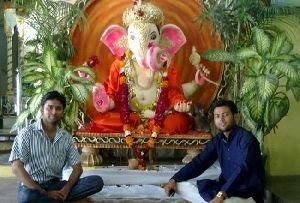 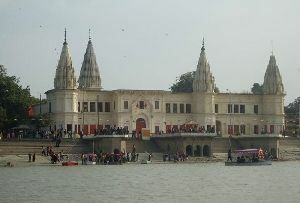 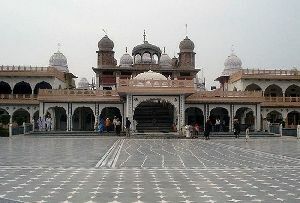 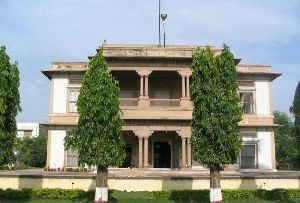 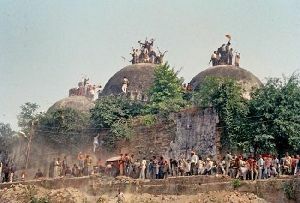 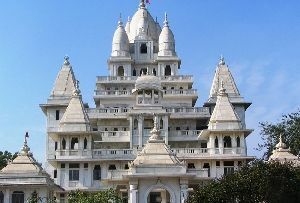 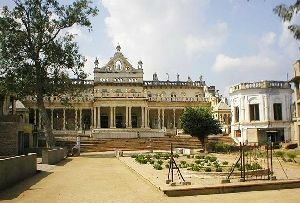 So do make sure to pay it a visit when on a sight seeing trip in Ayodhya.